Why Protect Your PC with STOPzilla’s Exclusive AVM Technology? STOPzilla AVM's true real-time protection effectively detects, blocks, and quarantines infections before they can attack your system and do damage. From the moment you start your computer, STOPzilla is working to protect you from malicious programs so your PC is never vulnerable. STOPzilla AVM has been optimized to perform faster and use fewer system resources than conventional antivirus software. Upon startup, STOPzilla AVM requires very little user interaction, allowing you more time to surf the web, and less time worrying about viruses and malware. Our friendly and responsive customer support experts are only a phone call away! Our USA-based customer support agents are always ready for your call. Any problem or question you might have can be resolved FREE of charge. You can contact us via chat, email, or toll-free calls. What sets apart STOPzilla AVM from the rest? 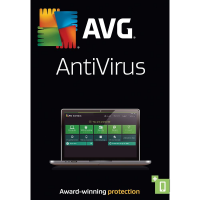 AVM launches and scans twice as fast as standard anti-virus technology, checking for the latest Viruses and Malware. With AVM technology, you’re secure and protected from any malicious threat. AVM technology continually scans, detects, & quarantines any malicious threats on your PC. STOPzilla AVM is always watching for any new security threats. Personal bank accounts, passwords, family photos, music collections and all other valuable information are now secure. STOPzilla AVM includes self-protection mechanisms that prevents malware from attacking our security software or making it useless. 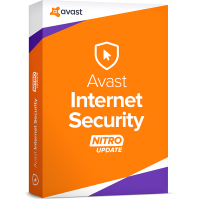 Malware grows at an alarming rate; due to the monetized returns of such crimes, the majority of Anti-Virus and security companies focus on new threats and do not worry about already infected users. Our research team focuses on both, on new and infected PCs. Today’s malicious threats compromise a user’s machine and apply complex mechanisms to prevent Security Software from installing properly or even performing a scan. 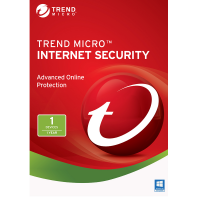 Malware will block Anti-Virus software from loading their kernel mode driver, blocking any type of real-time protection features. STOPzilla’s unique AVM technology allows a successful install and scan on infected computers. Other Anti-Virus or Security solutions may fail to install properly or perform a system scan. STOPzilla AVM installs, loads its latest threat definitions, enables Real-time protection to terminate active threats, and performs a full system scan. STOPzilla AVM′s state-of-the-art anti-rootkit technology allows it to detect the most complex and deeply rooted malicious threats and remove them. Some Anti-Virus or security solutions may not have the technology to deal with MBR Rootkits or even access malicious files hidden with rootkit techniques, Stopzilla AVM successfully scans such system areas, gains access to the malicious hidden threats, and removes them after a reboot.